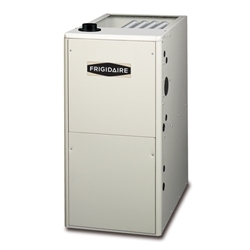 Campeau Heating is a proud retailer and installer of Frigidaire gas furnaces. Frigidaire is a premier manufacturer of top gas furnaces that come with a long, worry free warranty. We can install any of the current model Fridgidaire furnaces in your home (see the current models below. Fridgidaire's manufacturing process puts a unique emphasis on ensuring that every furnace that rolls off the end of their production line is going to meet their stringent quality standards. Many manufacturers only test random furnances at the end of the product line. Fridgidaire's furnaces are quality tested at each step of the manufacturing process. In fact, each gas furnace has been tested 144 times by the time it's packaged. Many Fridgidaire furnaces have standard features like sound reduction technology, multi-stage operations, and smart controls. They also have IQ drive techonology available to maximize your home comfort and energy efficient operation. Contact a Campeau expert for help determinging what furnace would best suit your needs and budget. If you register your Fridgidaire gas furnance, you'll be equipped with an incredible 10 year warranty! Campeau's expert staff is here to help. Determining which furnace would best suit your needs, wants, and budget can be tricky. Our staff is available for a consultation to help you decide what furnance would suit you best and we'll provide a no obligation quote to have it installed in your home. Contact us today.